Visitors experience a city’s culture on the walls of museums and galleries, on the stages of theaters and musical halls and even on the plates of local restaurants. But in New Orleans, culture also comes bubbling up from the streets and one of the most unique local expressions of this sort of culture is the second line parade. Second line parades are the descendants of the city’s famous jazz funerals and, apart from a casket, mourners and a cemetery visit, they carry many of the same traditions with them as they march down the streets. 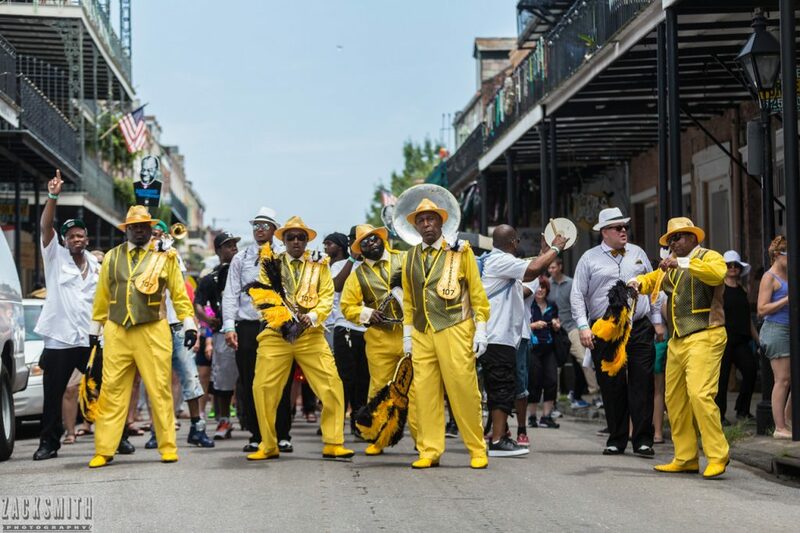 There are dozens of different second line parades put on throughout the year, usually on Sunday afternoons, and held in the French Quarter and neighborhoods all across the city. They range in size, level of organization and traditions, but in all cases they will include a brass band, jubilant dancing in the street and members decked out in a wardrobe of brightly colored suits, sashes, hats and bonnets, parasols and banners, melding the pomp of a courtly function and the spontaneous energy of a block party, albeit one that moves a block at a time. The parades are not tied to any particular event, holiday or commemoration; rather, they are generally held for their own sake and to let the good times roll. 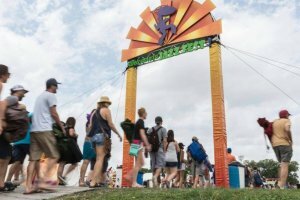 One recent development has been to stage second line parades for festivals, and this is where visitors are most likely to encounter one. For instance, the Satchmo Summerfest (800-673-5725, www.fqfi.org) now organizes a second line parade through the French Quarter in early August (Aug. 7 this year), a second line parade kicks off the French Quarter Festival (800-673-5725, www.fqfi.org) each April and numerous second line parades accompany the New Orleans Jazz and Heritage Festival (www.nojazzfest.com), or Jazz Fest, held each spring at the Fairgrounds Race Course in Mid-City. Indeed, the term “second line parade” refers to those who join in the rolling excitement. The people who are part of the hosting organization are the “first line” of the parade (at a jazz funeral, this would be family members of the deceased, the hearse and band) while those who follow it along, dancing and often singing as they go, form what is known as the “second line.” Second lining can also refer to the type of dancing that usually goes on at these parades – a wild, strutting dance step to carry participants forward in pace with the brass band – so one can go to a second line, be in a second line and do the second line all at once. Second lines trace their roots back to the 19th century and the fraternal societies and neighborhood organizations that collectively provided insurance and burial services to members, especially among the African American community. One of the earliest such organizations was the New Orleans Freedmen’s Aid Association, founded in 1865 at the end of the Civil War to provide loans and education to newly freed slaves. These organizations began hosting parades as neighborhood celebrations, to advertise their services and to honor members who had died. As racial segregation slowly dissolved and insurance and other services became available to black New Orleanians from mainstream providers, the social aid aspect of these organizations diminished. The groups themselves persisted, along with their parades, and today new organizations continue to form with the primary purpose of holding a parade. Reflecting their benevolent roots, however, these organizations are generally still called social aid and pleasure clubs. They have names like the Jolly Bunch, the Sidewalk Steppers, the Money Wasters, the Lady Rollers, the Perfect Gentlemen, the Devastating Men and the Popular Ladies. 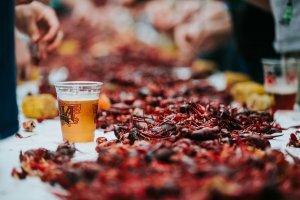 These parades are always propelled by a style of music that has rightly been called the street sound of the Crescent City – the New Orleans-style brass band, in all its thumping, syncopated, feet-moving glory. While the instruments used by these bands are familiar (always at least one of the following: trumpet, trombone, saxophone, tuba or Sousaphone, bass drum and snare drum), they come together for a sound that is as different from contemporary jazz or even traditional Dixieland jazz as R&B is from heavy metal. Heavy on improvisation and funked-up interpretations of modern pop songs, brass band music sets a soundtrack for the second line party. Second line parades traverse major thoroughfares only briefly, with their routes usually meandering through neighborhood side streets. The can pass antebellum mansions on one block and public housing projects only a few blocks later. Visitors should always use caution when traveling in unknown areas and be aware of their surroundings. Also, these routes can change from year to year, and news of their schedules is usually spread on a grass routes level. All this means it can be difficult for visitors to find information about upcoming second lines, or even to catch up with a parade. 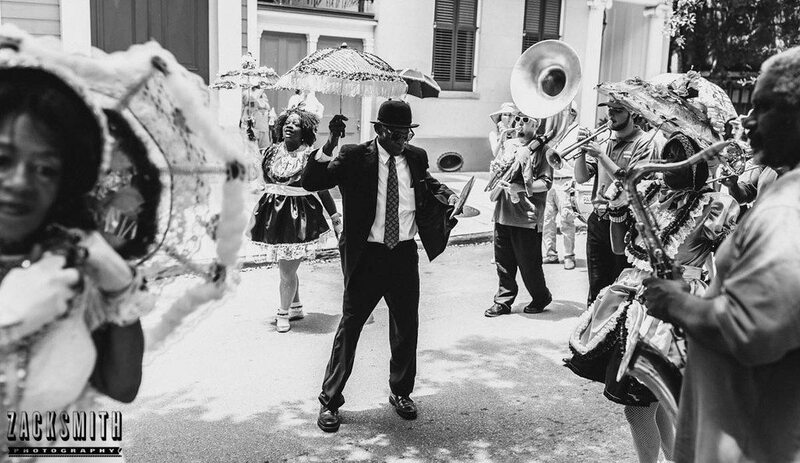 A great local resource for information about second lines, however, is the Backstreet Cultural Museum , located just outside the French Quarter in the historic Treme neighborhood. This small museum features exhibits on second line parades, jazz funerals and other realms of New Orleans culture.